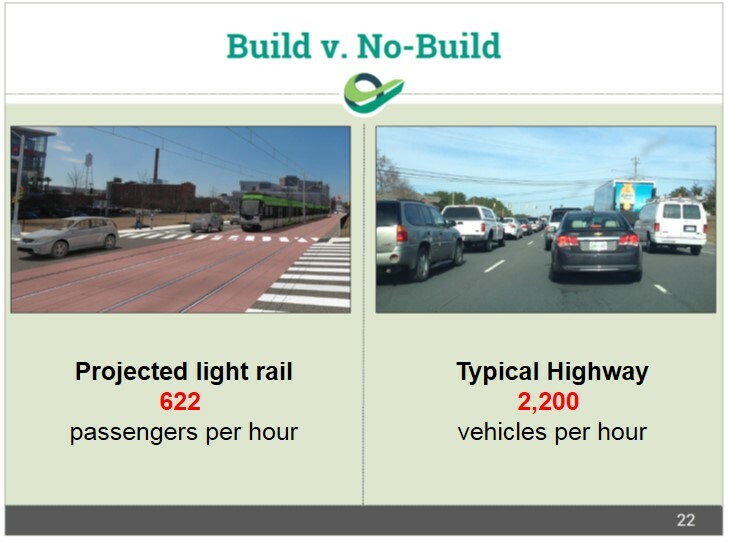 Advocates portray the No Build option as perpetuating unsustainable urban sprawl, and that the only (sane) option is to build a light rail system. Let’s look at this a little closer. The latest revised DO LRT estimates project 23,000 daily boardings (in 2035) during 18.5 hours of daily operation across the 17 mile circuit (at a cost of $1.6 BILLION or $94 million per mile) to serve an average 622 passengers per hour (on each track). 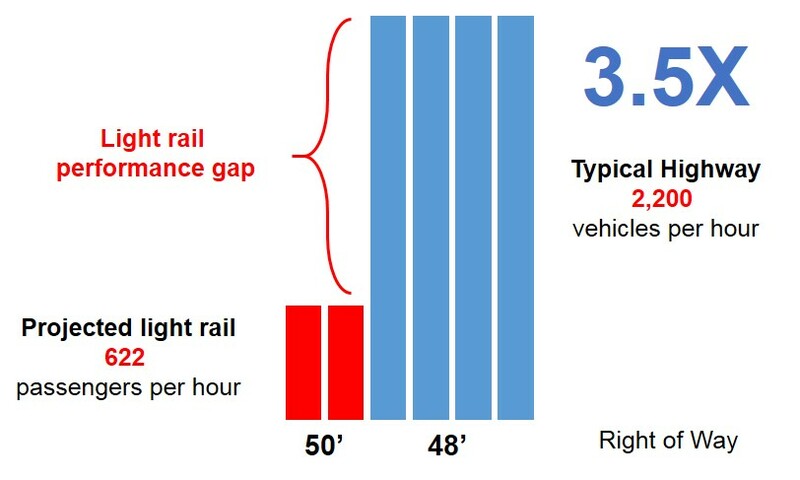 While advocates will argue that LRT has higher ‘capacity’, it will not necessarily mean that it has higher ‘usage.’ We should not confuse capacity with usage.